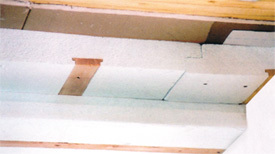 No matter how professional the installation of a typical residential ceiling and insulation, it is inevitable that gaps in the vapour barrier will lead to moisture problems and possible truss uplift. Nudura has virtually eliminated these and similar problems with its Ceiling Technology. These sheets of 100% recyclable, expanded polystyrene are molded with embedded wood strapping and an overlap on the perimeter for easy and efficient installation. 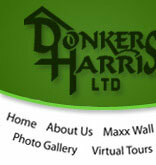 The overlap reduces air filtration to such a degree that no other vapour barrier is required. Used in a double layer, it significantly reduces thermal bridging increasing the energy-efficiency and comfort ability of the building. The foam contains no CFC's or HCFC's making it safe to use and an ideal, economical insulation solution for retro-fitting uninsulated floors, walls and ceilings in homes, garages, cottages or commercial buildings. 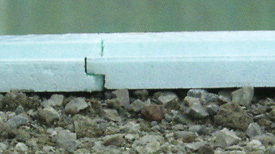 The floor of a building is often the most ignored surface when it comes to insulation. However, it is the backbone of the comfort ability a structure can provide to its in habitants. 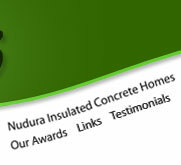 Nudura offers a cost-effective, 100% recyclable insulation which is used under the basement slab to provide a layer of protection against the transference from the ground and a base for the internal heating/cooling system of the building. 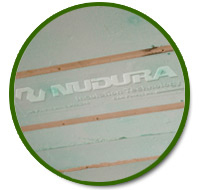 Nudura's Floor Technology is a molded expanded polystyrene foam sheet that is safe (contains no harmul CFC's or HCFC's) and easy to use (designed with a ship lap and a tongue and groove interlock). It also provides an energy efficient base for radiant heating.